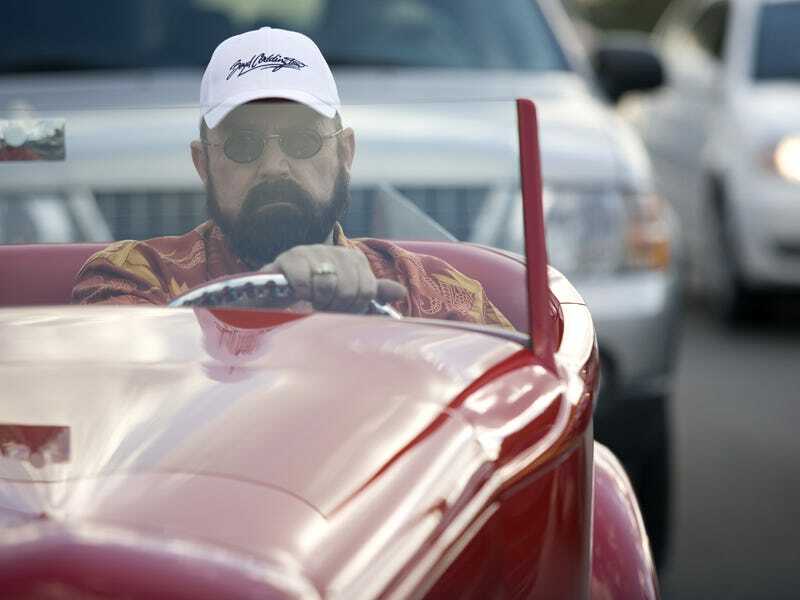 As we sadly reported first earlier today, Boyd Coddington died early this morning at the age of 63. As a lad reading Hot Rod by flashlight after bedtime — as if it were Highlights for Children — I assimilated Boyd Coddington's name alongside the usual suspects of the Hot Rod feature-well: Gray Baskerville, Bill "Grumpy" Jenkins, "Big Daddy" Don Garlits, et al. Coddington's take on traditional, 1930s-style hot rods enthralled an impressionable kid marinating in late-1970s culture. Kiss was meeting the phantom of the park and mirrorballs were circling above every head-shop in the country, casting bricks of light across Cheap Trick posters, decorative coke mirrors and door beads. A master metal craftsman, Coddington was lathing his own stylized parts from whole aluminum billets. That was several years before the whole "billet revolution," and Coddington was among the few metal geeks responsible for the rise of high-level machining in the hot-rod world. Car customization was entering its post-fiberglass phase, and thus to become a high art. To say there would be no Chip Foose if not for Boyd Coddington may be a literal truth — considering Foose was once a Coddington apprentice — but it's possible Foose might now be messing with vacuum cleaners or office interiors if not for the broader Coddington influence. Foose repaid the favor by penning Coddington's later-period signature cars. Were it not for Coddington and his ilk two decades earlier, however, the 1930s rod may have died before ever reaching ZZ Top Eliminator phase and beyond. The early 21st century was rough for Coddington. He pled guilty in 2005 for registering custom-fabricated cars as antiques to avoid emissions and taxation laws. That incident inadvertently educated the car community in Greek philosophy, in particular, Theseus' paradox. That's the Plutarchian question of whether an object that's had all its parts replaced remains fundamentally the same. A mind-blowing concept in the age of resto rods. Detractors point to Coddingtons' mass-commercialization of what began as a grassroots hobby and they'll use American Hot Rod as evidence. We'll just let that lie.